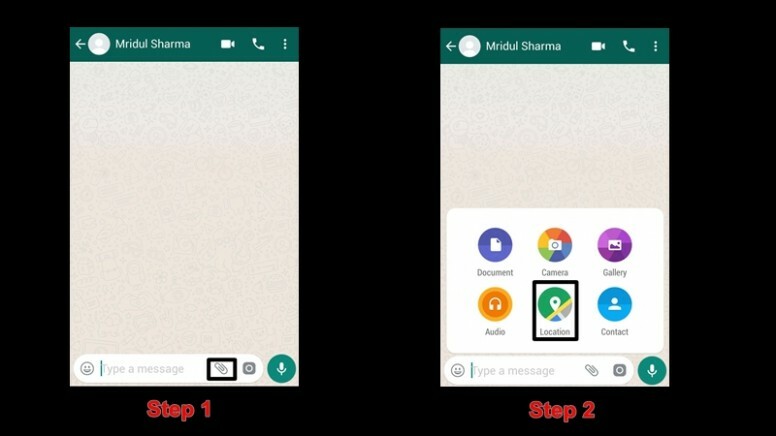 Home News How to Use WhatsApp Live Location Sharing Feature ? 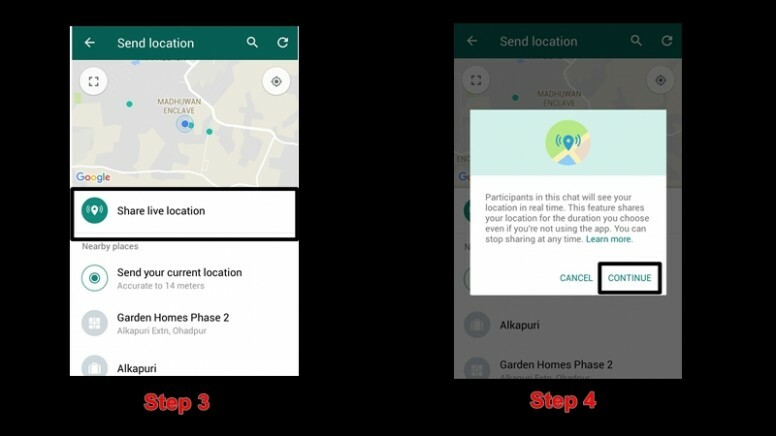 How to Use WhatsApp Live Location Sharing Feature ? WhatsApp Live Location Sharing: The WhatsApp has recently launched a new ‘Live Location’ feature. The Live Location feature allows you to share your real-time location for a specific amount of time. You also get an option to control who you share your location with, be it the group chat or with just one contact or moreover an individual chat. Note: Before moving further, make sure you have the latest version of WhatsApp installed onto your device. If you haven’t updated it yet – head over to play store, search for WhatsApp and click on update. 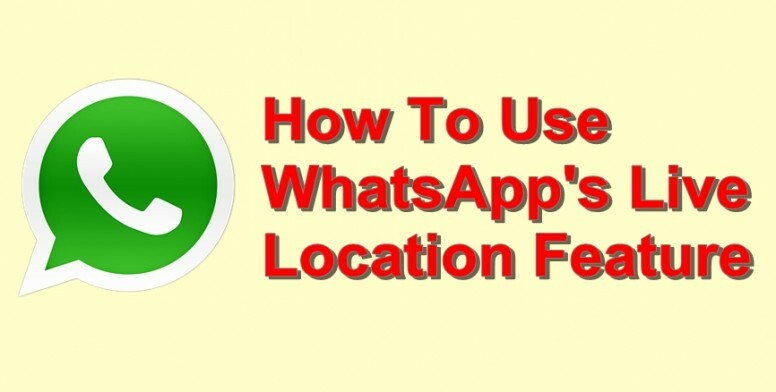 Also, you need to turn on Location and give WhatsApp location permission in your phone’s settings before using this feature. 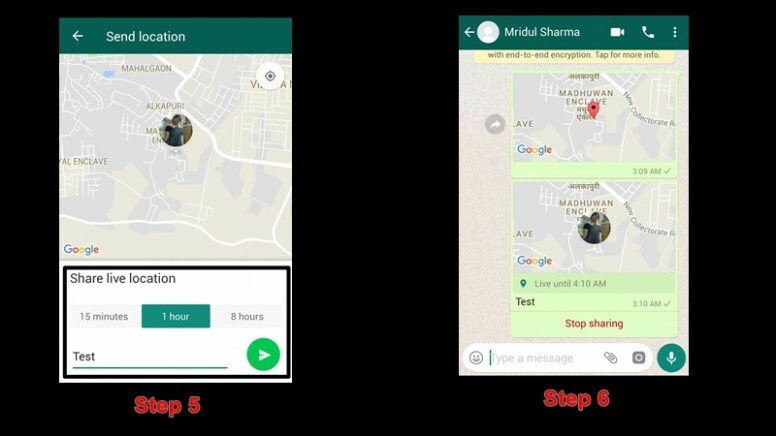 How to Use WhatsApp Live Location-Sharing Feature? Enter your comment (optional), enter the duration for the real-time location sharing (The minimum time is 15 min, along with 1 Hour or 8 Hours available as well) and then finally click on send button. 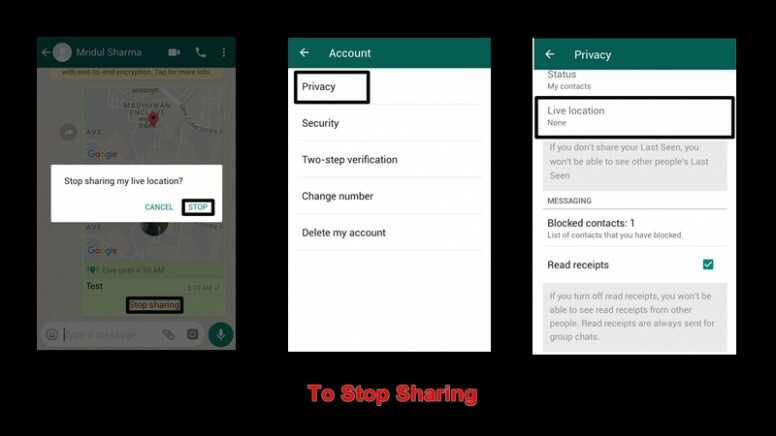 Open the individual or group chat which you shared location with and then click on Stop sharing. Tap on STOP again to confirm the action. Remember, once stopped or expired; your live location will no longer be shared. However, participants in the chat who you shared your live location with will continue to see the initial live location you shared. This will appear as a static greyed-out image within the chat.